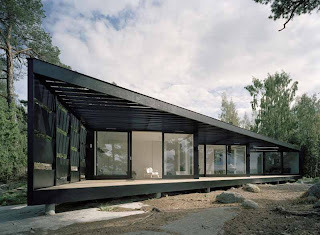 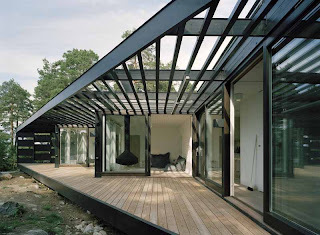 This perfect angular house by the lake in Sweden is by Ake E'son Lindman and called the Archipelaho House. 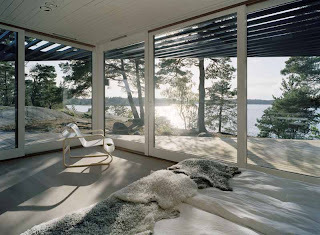 I like the fur bed blankets as much as the location, the angular attitude, the vistas as well as the seclusion. 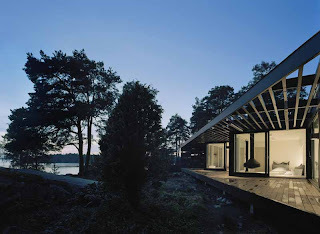 I could live here.